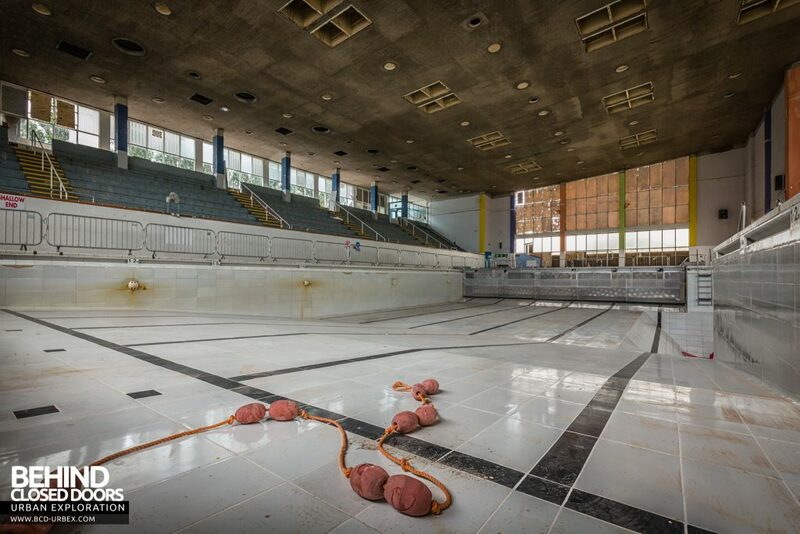 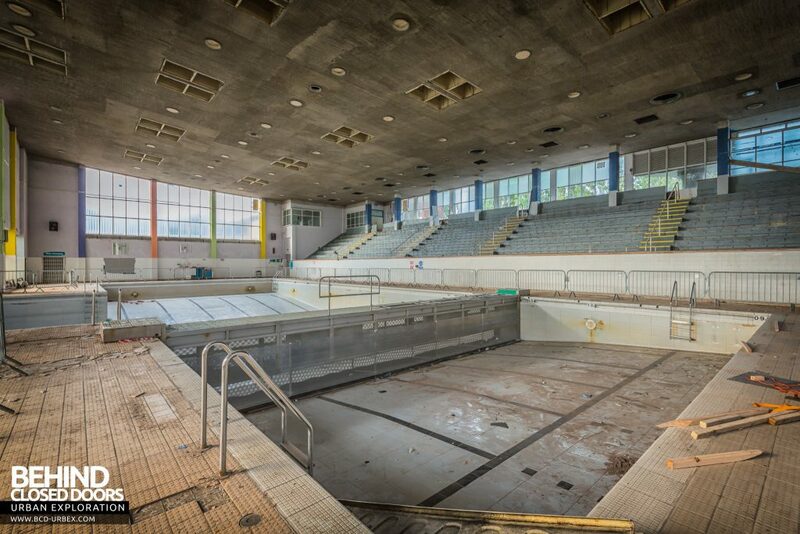 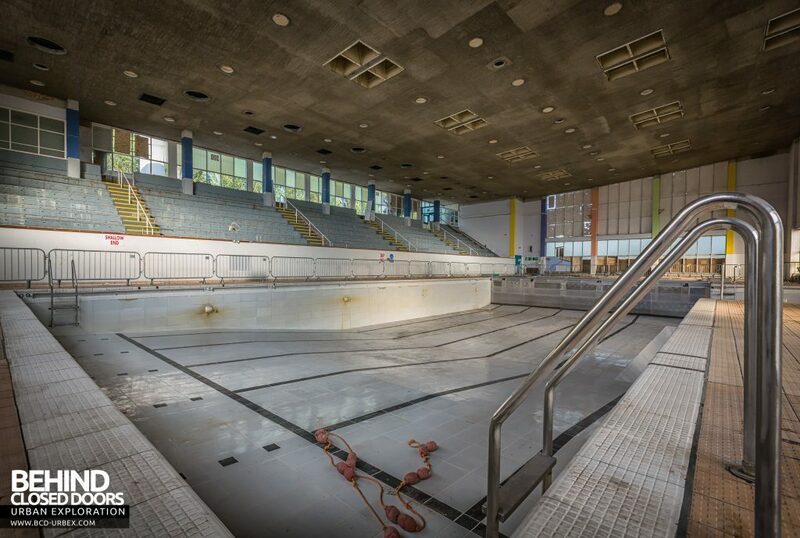 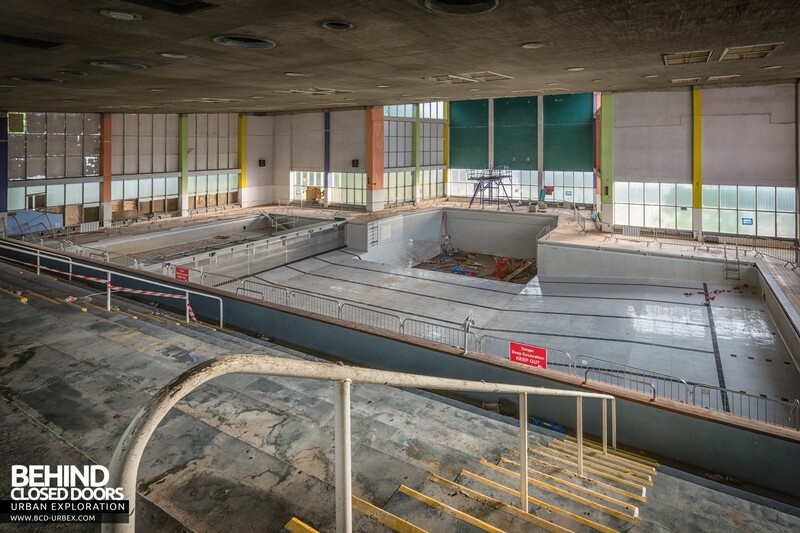 A behind-the-scenes look at a swimming pool in Grimsby that opened in 1962 and was popular until its closure in 2015. 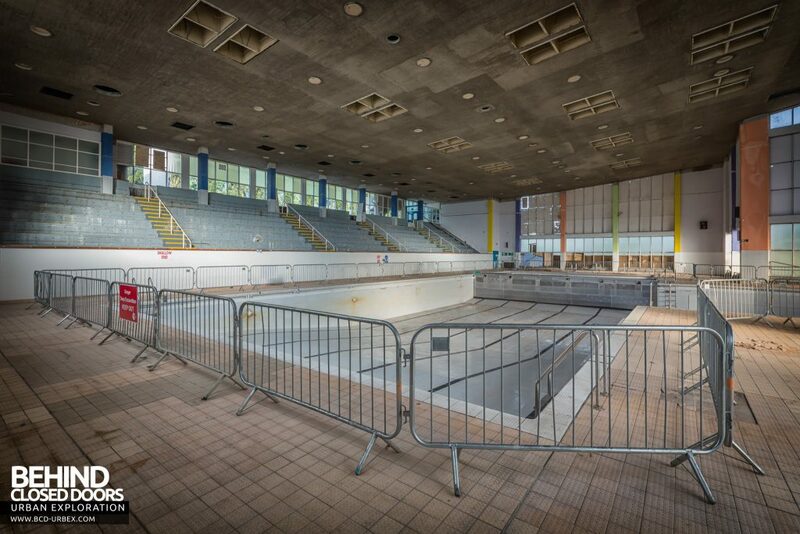 The Grimsby Swimming Pool, know locally as Scartho Baths and usually pronounced “Scaffa Baffs” opened in 1962. 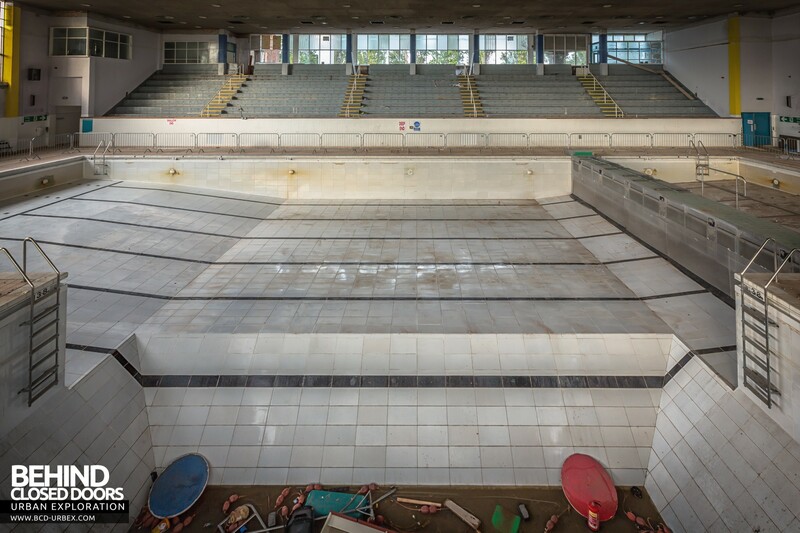 The size of the pool was 110ft by 42ft with a depth range from 3ft to 6.5ft. 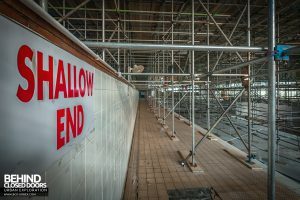 The deepest section was in the centre, with a shallow end at each end of the pool. A barrier towards one end divided the pool into two – a 25m (half Olympic) area with 6 lanes, and a smaller area used for swimming lessons and specialist activities. To one side of the pool there was a 12.5ft deep diving bay which provided a springboard and a 3m high firm diving board. 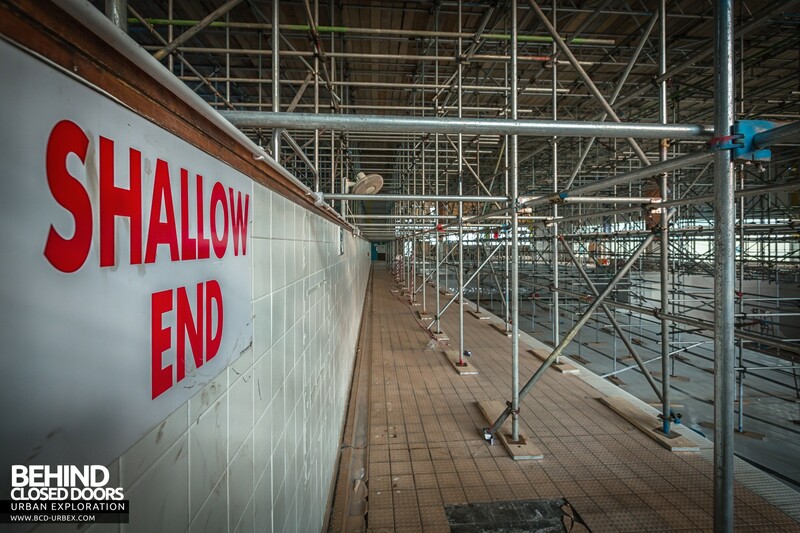 There also used to be 5m high platform, but this was removed many years ago. A large spectator area could seat 618 people. 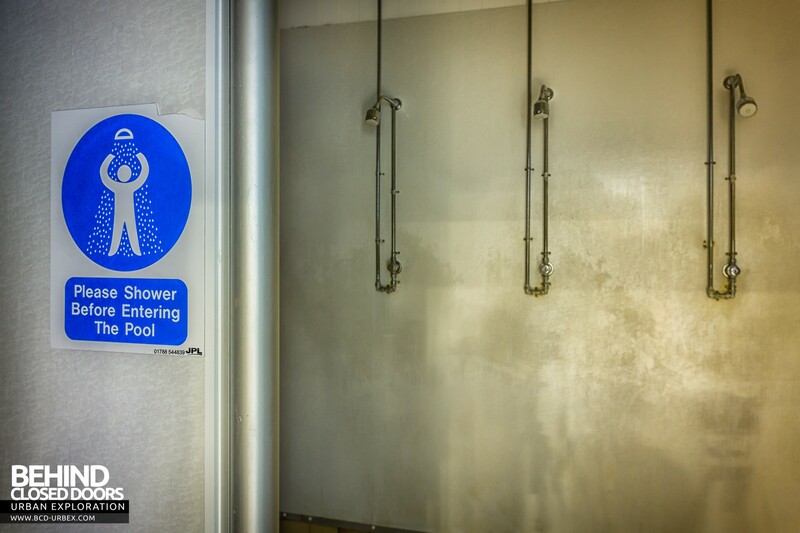 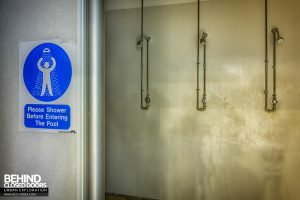 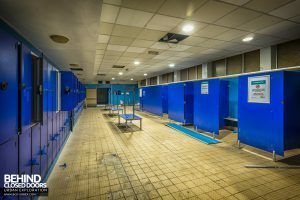 In 2008 a review was commissioned to examine the current and future usage of swimming facilities in the Grimsby area including both Scartho Baths and the pool at the nearby Grimsby Leisure Centre. 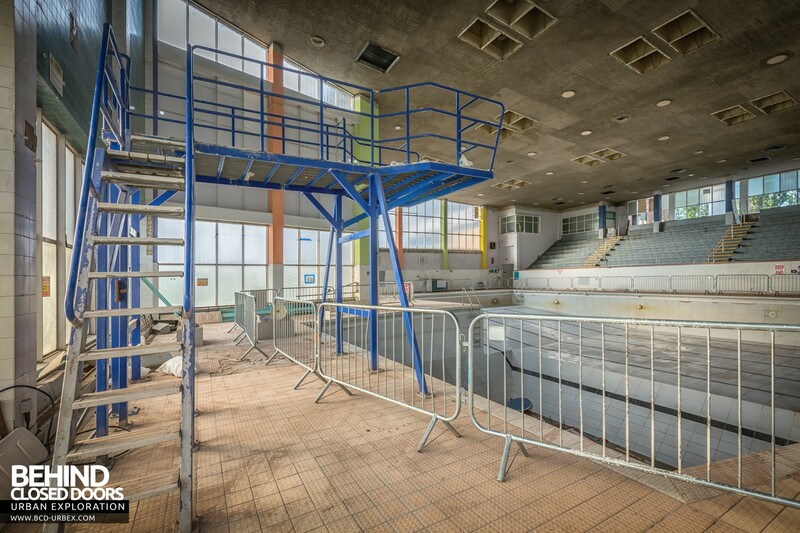 The review recommended a rationalisation/replacement programme including the delivery of a single new facility with sufficient swimming pool capacity. 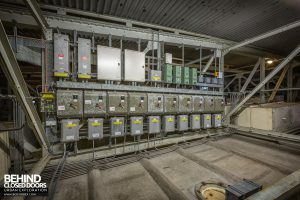 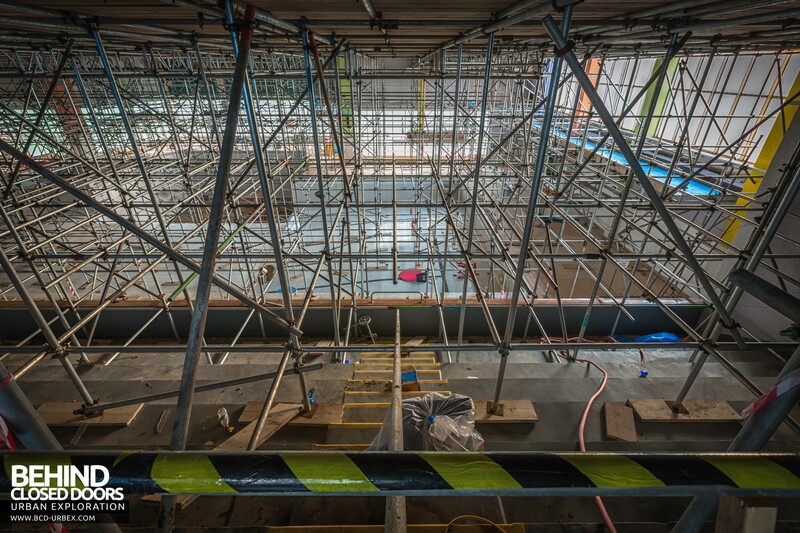 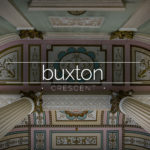 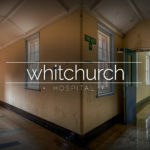 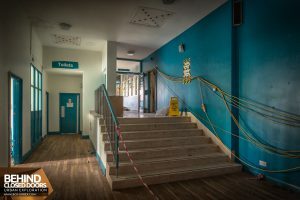 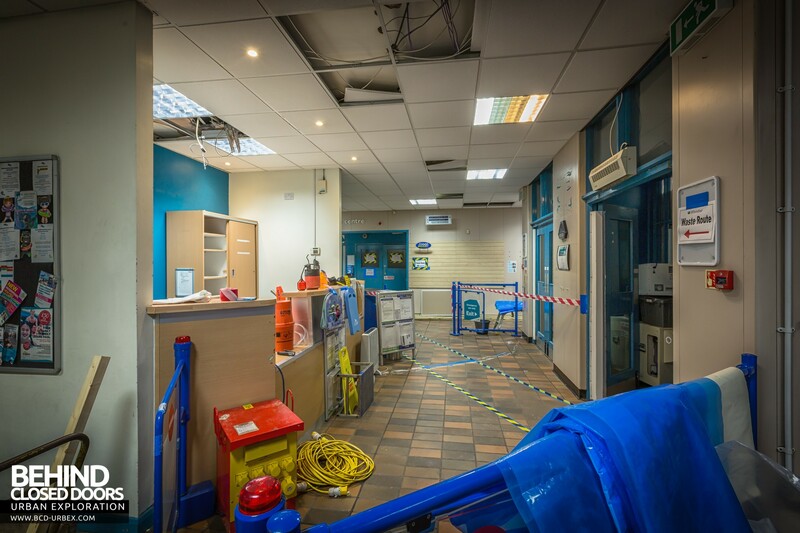 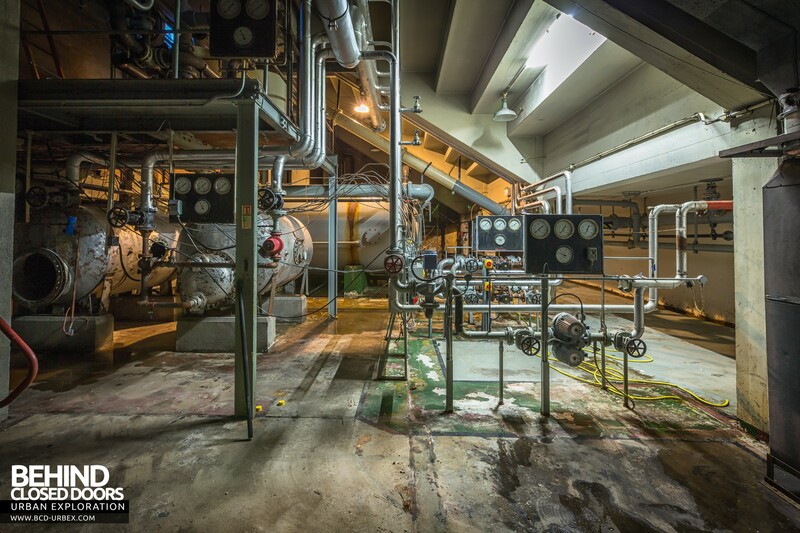 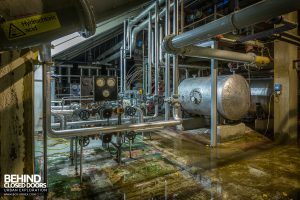 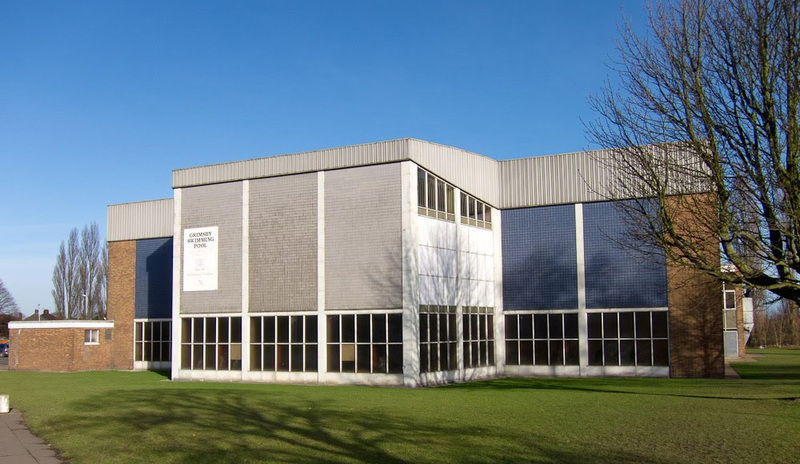 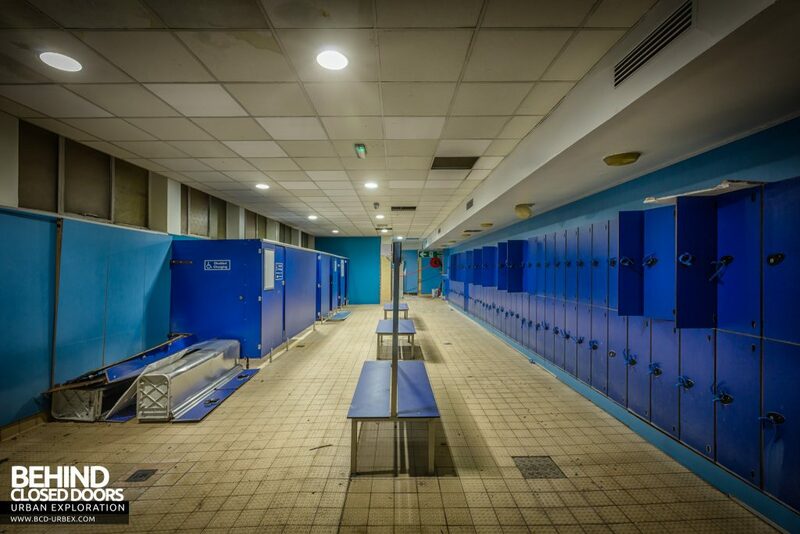 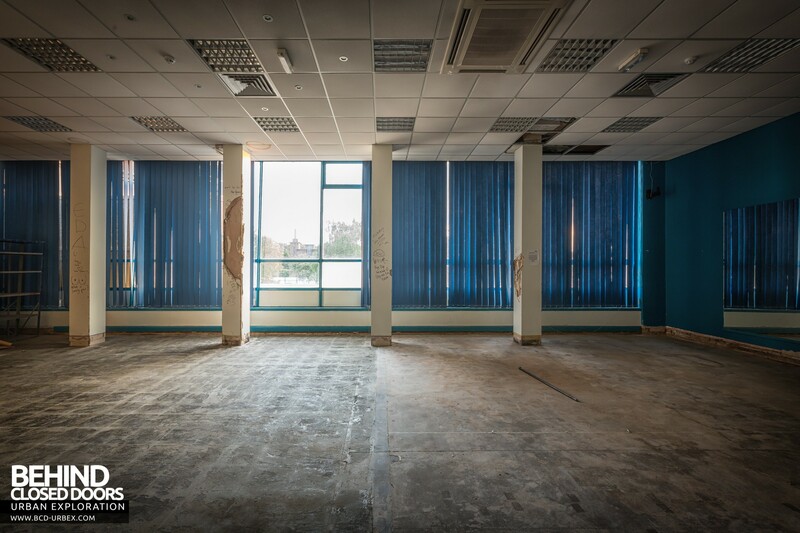 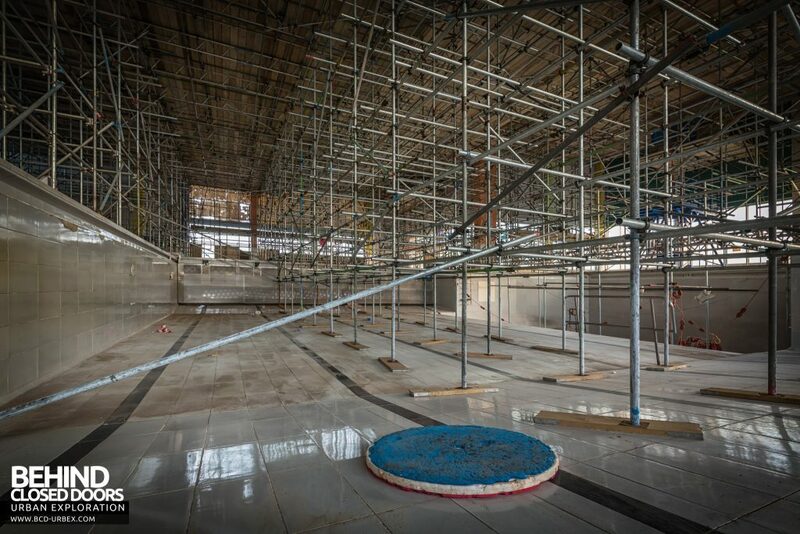 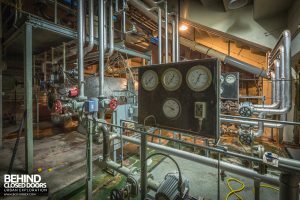 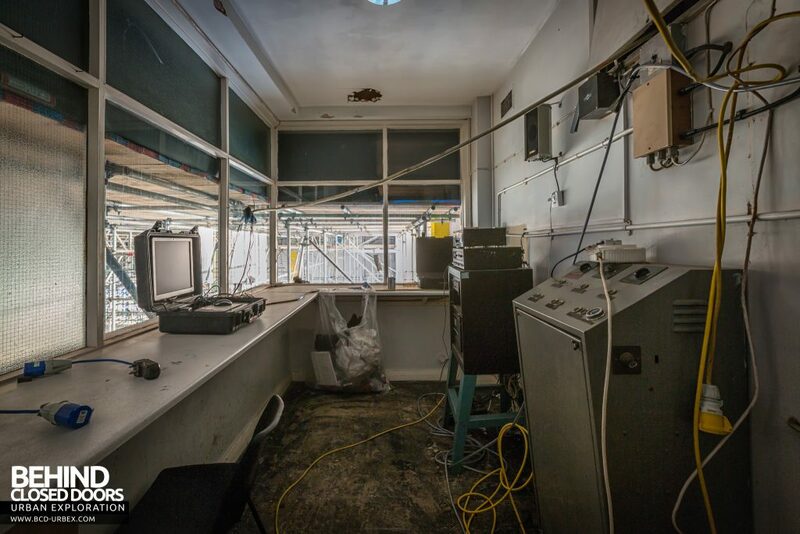 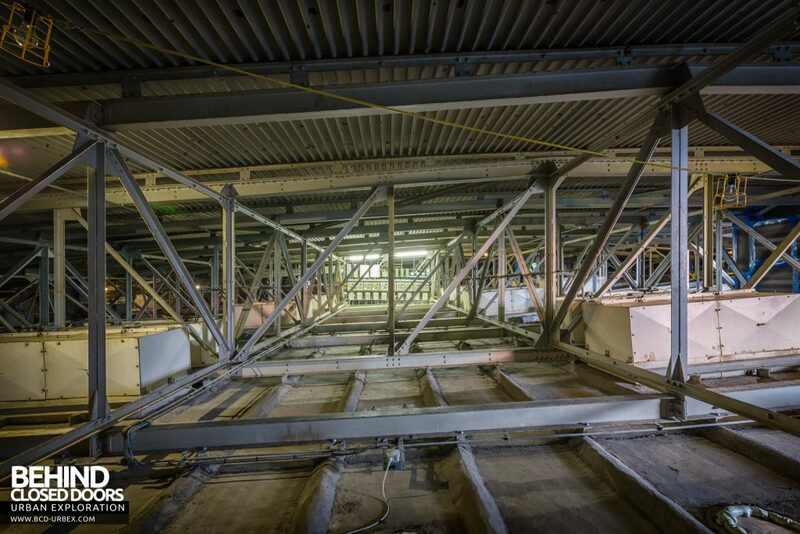 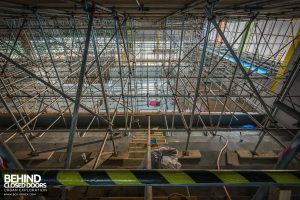 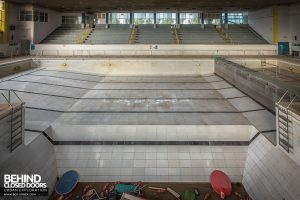 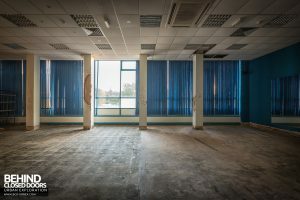 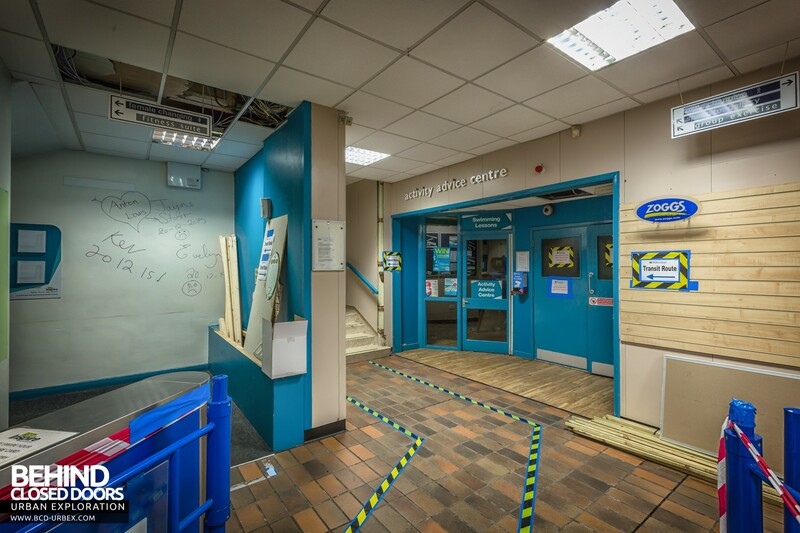 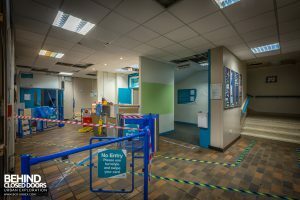 A further survey of the condition of all leisure facilities was also carried out and this confirmed the high levels of expenditure required to replace essential plant and equipment at the end of its useful life, and to also maintain buildings over the next 5-10 years. 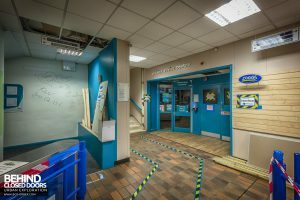 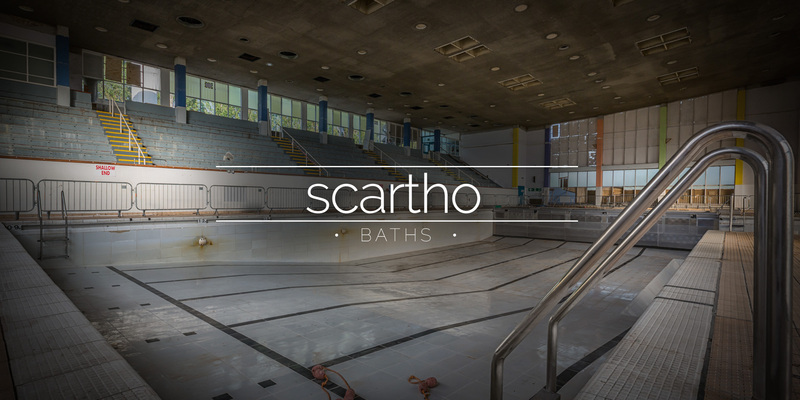 As a result, a new swimming facility was built in Grimsby and Scartho Baths closed in December 2015. 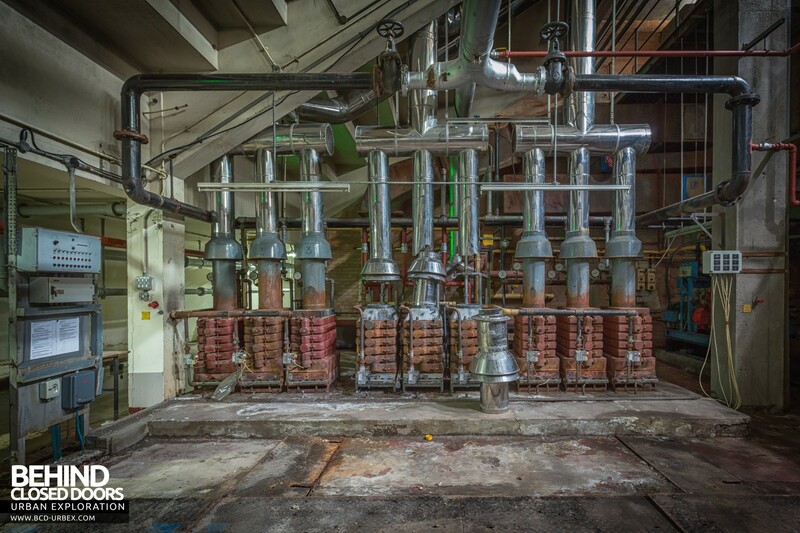 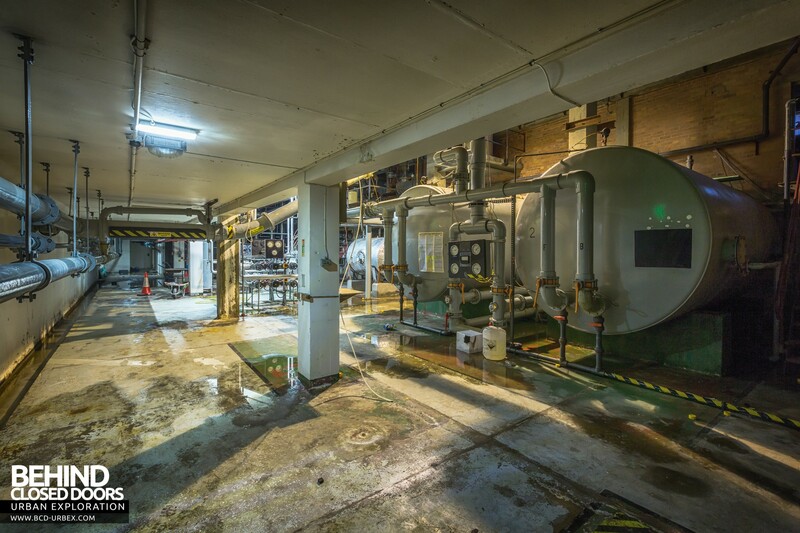 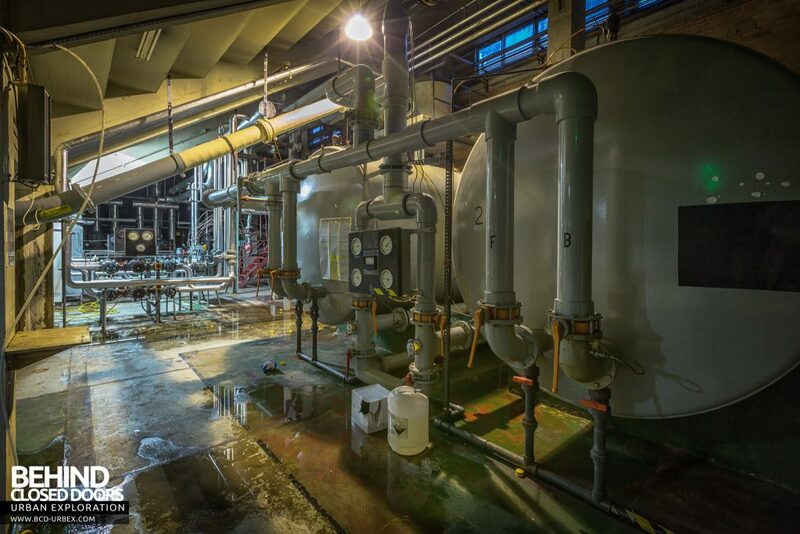 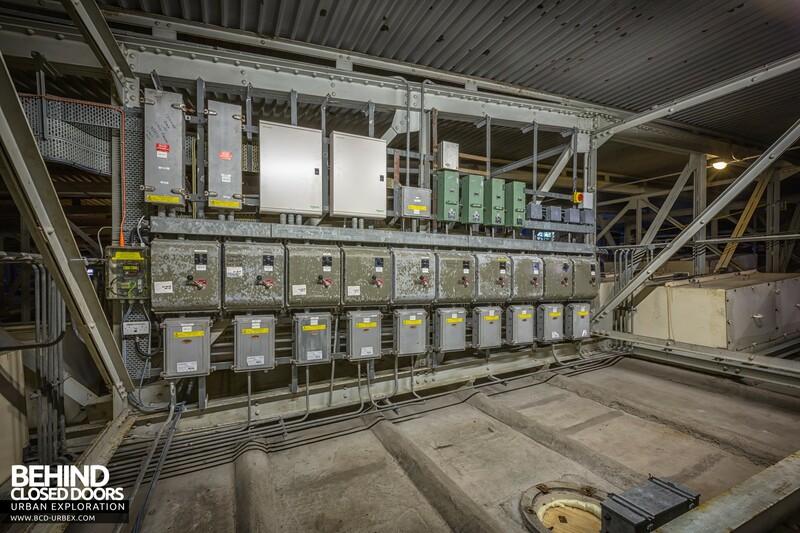 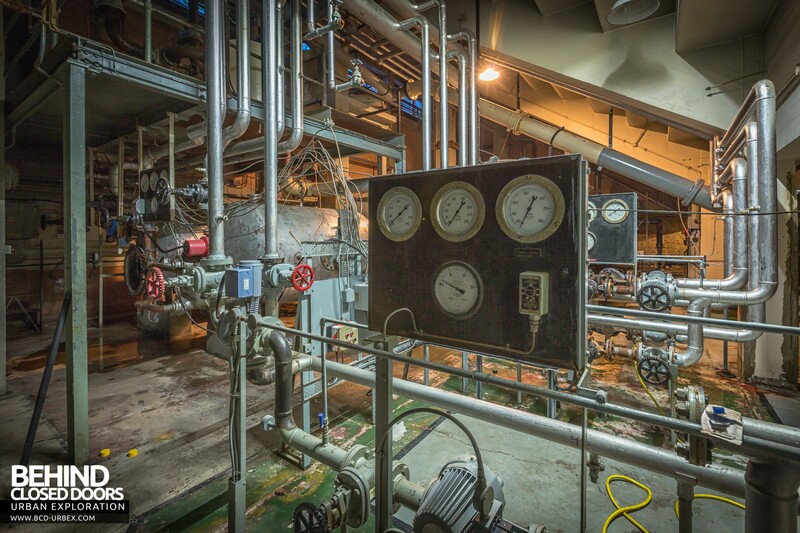 The plant room is where the water is pumped around, cleaned, heated and chlorine controlled. 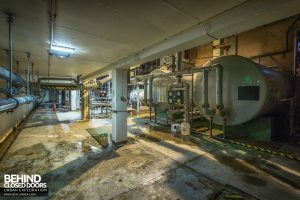 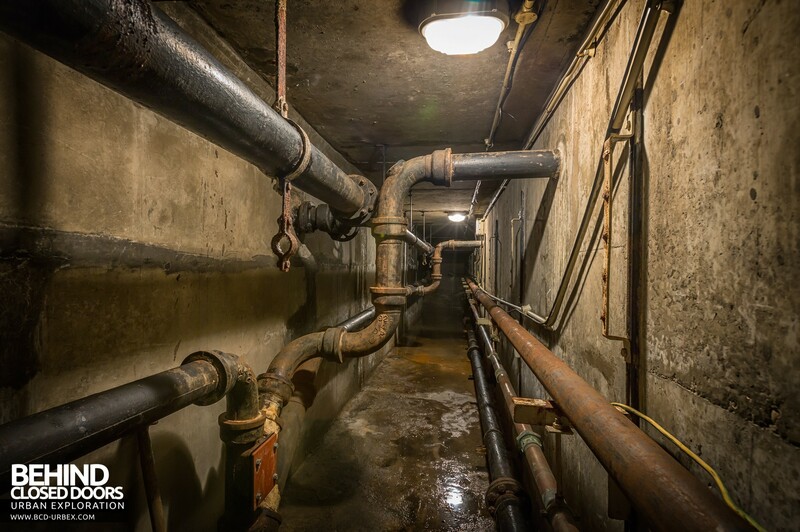 A tunnel extends from the plant room all the way around the outside of the pool, allowing access for servicing of the pipes that carry water to and from the pool.